I completely forgot to put up my launch screenshots! 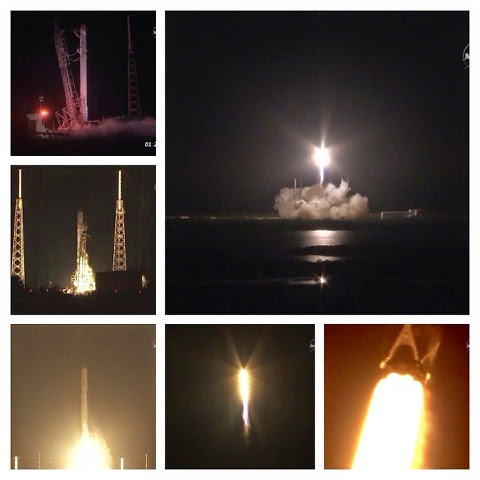 These are from NASA TV coverage. On January 10, 2015, SpaceX's Dragon capsule of #ISSCargo launched to the International Space Station aboard a Falcon 9 rocket! I'll probably add the ones from last Fall as well, just because one can't get enough of spacey goodness. 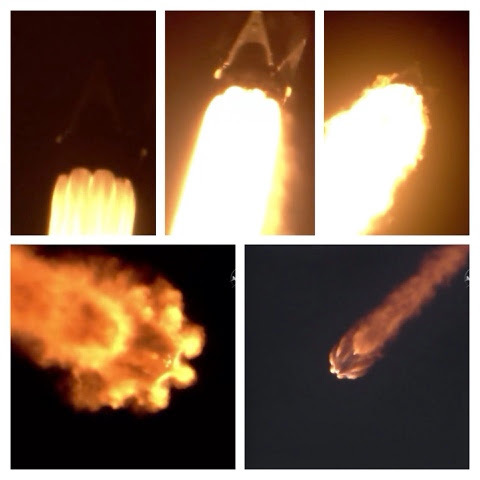 A collage of ROCKETY GOODNESS! 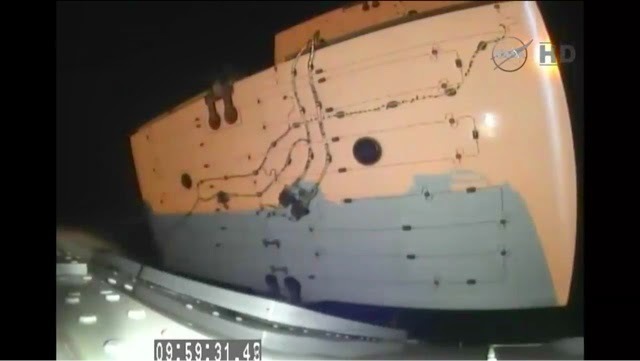 We could actually watch the solar panels deploying! !